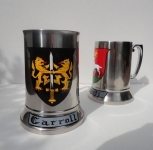 This classic beer tankard stays true to the medieval pewter design. 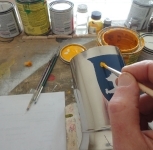 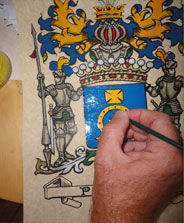 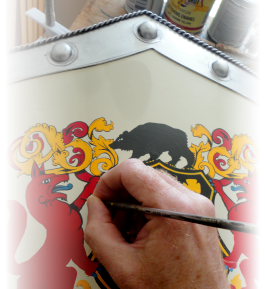 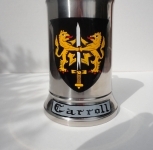 With polished Stainless Steel construction, the tankard comes complete with your family coat of arms expertly hand-painted on the front face of the stein. The perfect gift for lovers of hop-based beverages, no Man-Cave should be without at least one.